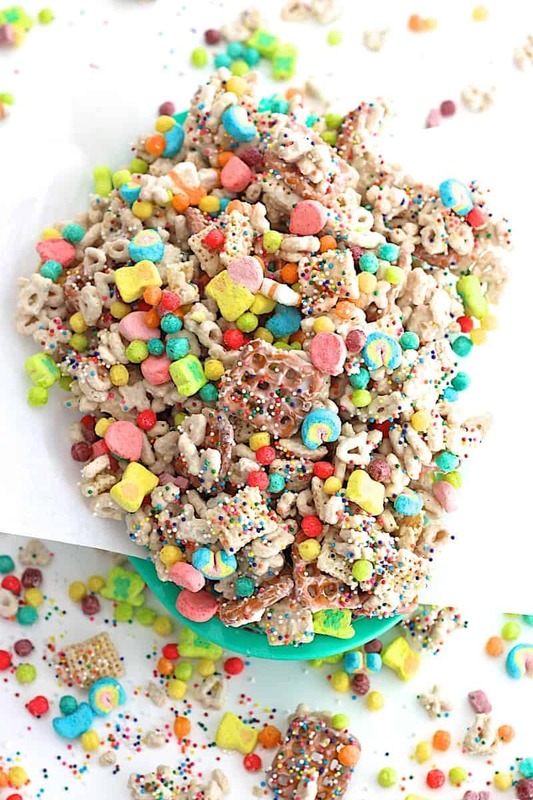 A fun and festive candy coated cereal mix that’s perfect for St. Patrick’s Day or to sweeten up any party! When it comes to holidays, there are those that I plan for weeks in advance (like Thanksgiving and Christmas) and then there are those that sneak up on me and I come up with something fun, and of course yummy, to celebrate with the day of or if we’re lucky, the day before. St. Patrick’s Day is one of those holidays. It always falls on a different day of the week so it’s not always a day that’s convenient to host a big party, but I still like to do something special to celebrate. I could (okay, I do) snack on this all day every day until it’s gone. It’s one of those sweet treats I can’t keep around because I alone would magically make it disappear. 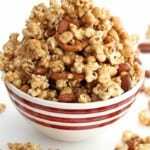 It’s so sweet and snackalicious! 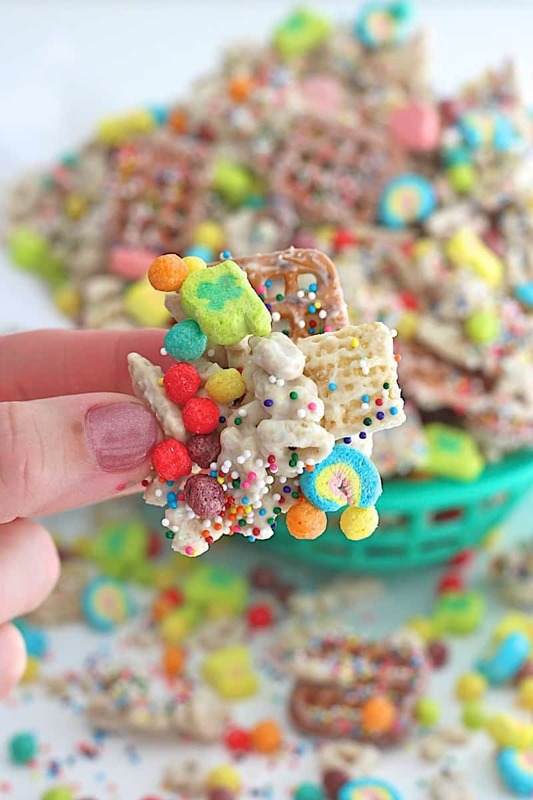 Cereals and pretzels and marshmallows (oh my!) 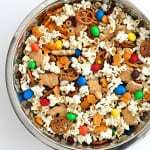 all come together with a sweet candy coating in this quick and easy sweet snack mix. Sure, it’s perfect for St. Patrick’s Day or a rainbow themed party, but let’s be honest, we’d all welcome it anytime. I think it would be so sweet to make for a friend or neighbor to just brighten their day or to thank them for being so great. 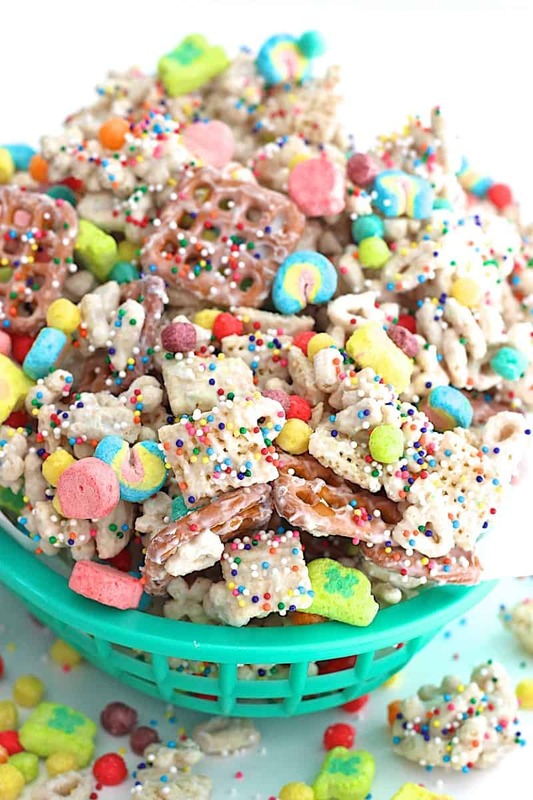 A fun and festive candy coated cereal mix that's perfect for St. Patrick's Day or to sweeten up any party! 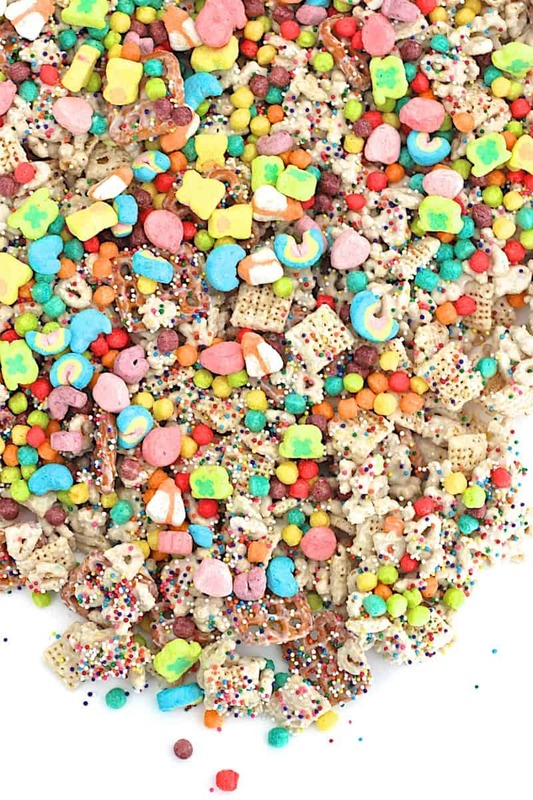 Separate the marshmallows from the cereal of the Lucky Charms. There should be about 2 cups marshmallows. 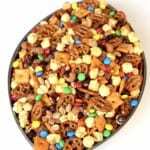 In a large bowl, combine the Lucky Charms cereal, Chex cereal and pretzels. In a microwave safe bowl, melt the almond bark according to package directions, usually 2 to 2-1/2 minutes, stirring every minute until melted and smooth. Be sure not to over melt the almond bark as it will burn and become to thick to stir and coat the mix evenly. Pour the melted almond bark over the ingredients in the large bowl and toss to coat with a large spoon. Ingredients should be evenly coated in the almond bark. Spread the mixture out in an even layer on parchment paper. 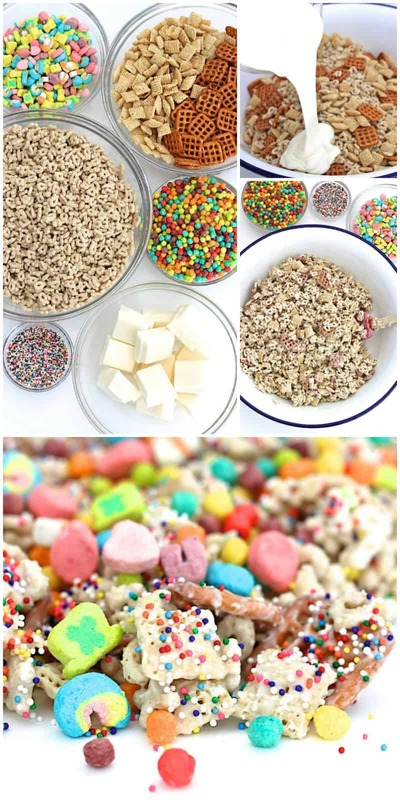 Immediately sprinkle with rainbow jimmies then the Mini Trix cereal and the Lucky Charms marshmallows. Allow mixture to cool completely. Break apart to serve. Store in an airtight container or baggie. This sounds good , wonder how it would be using chocolate instead of white chocolate….have you tried it this way ? I haven’t tried it that way, but I’m sure it would taste great. Enjoy! Just made this for movie night with the grand babies! I’m sure it will be a great movie night. 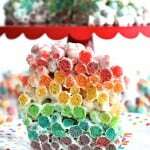 I would love to make this for my son’s St. Patrick’s Day birthday party. Just wondering how many days you think this could be made in advance? Do you think it could be frozen ahead of time? Hi Megan! How fun! 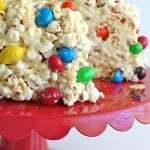 It will make for such a great b-day party treat! If you buy all the ingredients fresh and store it in an airtight container, it can keep for up to two weeks and still taste great. I do not recommend freezing it as the candy coating will release moisture when it defrosts causing the cereal and pretzels to lose some of their crunch. Enjoy!